In this interview with Liberation Drummer, the pop singer-producer discusses his debut album, how he got his name, his greatest music influences and more. Liberation Drummer (A.K.A Josh) is a unique performer who delivers a clear animal liberation message through relatable pop music. Having being a street activist for over a year Josh decided to use his musical background to push the vegan movement. His songs describe modern farming in an emotive way. 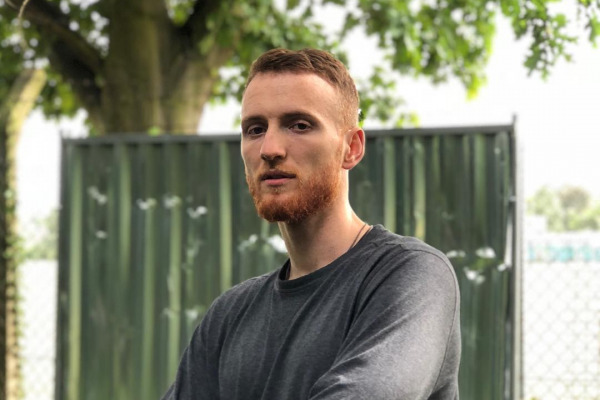 Having only started the project in March 2018 his debut album is now available on all digital platforms containing nine tracks related to the vegan message and ending animal exploitation. How did you get the name Liberation Drummer? I was looking for a new Instagram handle and I strongly believe in the animal liberation message and I'm a drummer by trade, then voila. My friend came up with it though! What's the inspiration behind your new album "Animal Liberation"? The animals. I sing about how we use animals in modern society form food to fashion to cosmetics. It's shocking. Bon Iver and HONNE are my boys. Still can't get over how good they are. Urm i guess moving to London for University and being surrounded in the scene made me want to pursue this career. Ooo. A 5 star hotel in Switzerland. We supported the winner of The Voice (Swiss Édition). I got a private room which had been stayed in by the lead singer of Toto! Why is MusicDigi a great platform for musicians? It's efficient and helped me get my album online super fast which I needed!! Songs about animal rights. I'm getting sick of love songs.